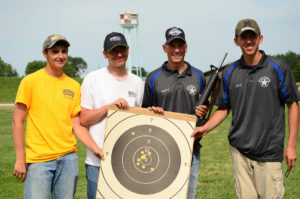 The Civilian Marksmanship Program recently announced it was seeking interest from clubs and ranges across the U.S. about hosting a remote version of its Small Arms Firing School (SAFS). 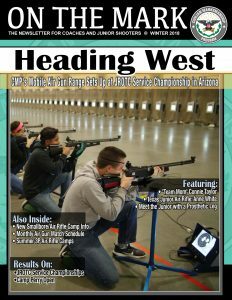 The CMP immediately received more than 100 inquiries from across the country about hosting the educational course which combines classroom and firing line training with the option of firing an Excellence-In-Competition match at the conclusion. The following article explains the new venture in greater detail – CMP may already have enough candidates! 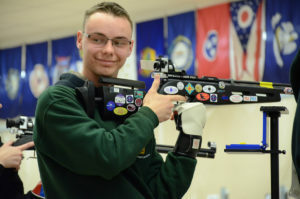 The Civilian Marksmanship Program is looking to expand the reach of its Small Arms Firing School beyond its regular schedule, which is held annually at the National Matches at Camp Perry, Ohio, the CMP Travel Games at Oklahoma City Gun Club, Camp Butner - North Carolina, CMP Talladega - Alabama, New England Games at Camp Ethan Allen - Vermont and the Ben Avery Shooting Facility in Phoenix, Arizona. 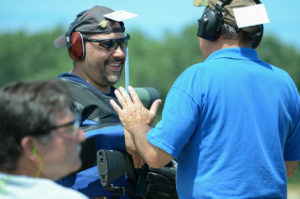 Small Arms Firing School is a great introductory class to marksmanship. 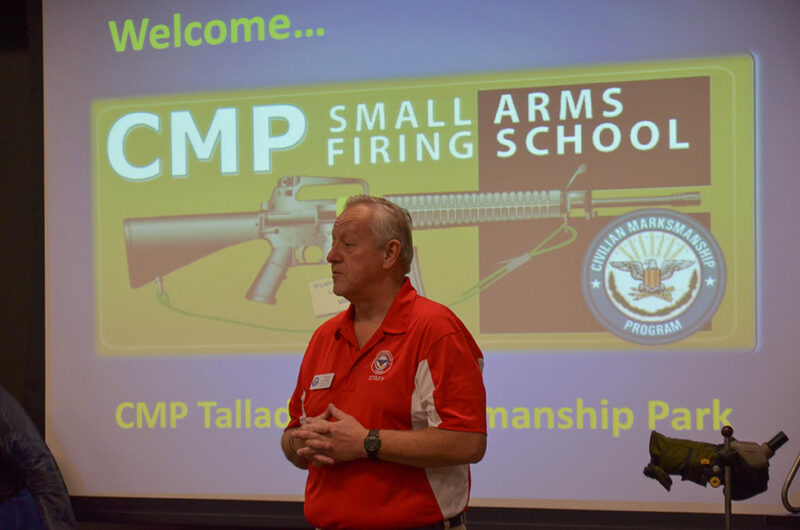 Currently the CMP welcomes 400 to 800 attendees each year at the national Small Arms Firing School at Camp Perry as part of the National Matches. CMP travel games SAFS programs serve between 40 and 100 participants per event. 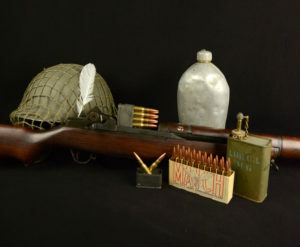 The CMP provides rifles and ammunition for all SAFS programs, home and away. 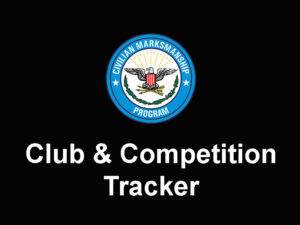 As a part of our firearms safety and marksmanship mission, with an emphasis on youth, the CMP is looking for a few more qualified sites around the U.S. to host the classroom program of instruction and 200-yard Excellence-In-Competition rifle match to reach those who lack the time or means to travel to a current CMP instruction site. 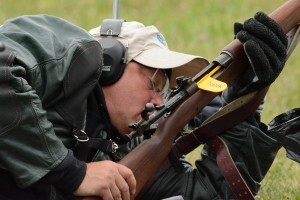 The SAFS EIC rifle match is the only match which allows a beginning competitor to earn four leg points toward a Distinguished Rifleman Badge – the highest honor most marksmen seek to achieve in our sport. Firing the match is not a requirement of the class. 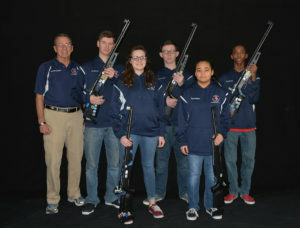 Each school begins with a classroom session where certified instructors familiarize students with safe handing and operation of gas-operated AR-15/M16A2 rifles and introduce basic marksmanship skills and prepare students to compete in a three-position introductory Excellence-In-Competition Match. 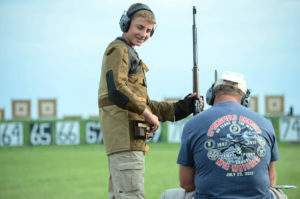 The CMP will provide instructional and administrative staffing to conduct the classroom activities, rifle match staging, squadding, firing, awards and record-keeping. 200-yard highpower range with safety berms, range flags, easily-accessible roads, trails, etc. Housing, hotel/motel/restaurant accommodations in the area for CMP staff and event attendees from out of town, etc. 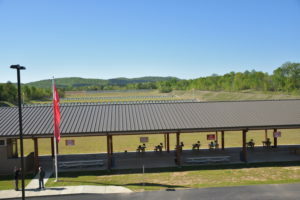 If your range facility would like to be considered by the CMP to schedule a future Small Arms Firing School and rifle match, and your facility meets the criteria listed above, respond via email to CMP special projects coordinator, Amy Cantu, at [email protected], or by phone at 419-635-2141, ext. 602. Christine, very informative and detailed program information. Taking SAFS out to the clubs and associations around the country is a great idea and, will give shooters an opportunity to participate in a SAFS School who could not get to either Ohio or Alabama. 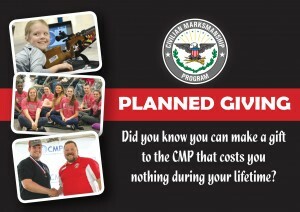 The CMP continues to do great things with new and innovative programs!